Get notified when AMA Supercross tickets are available! 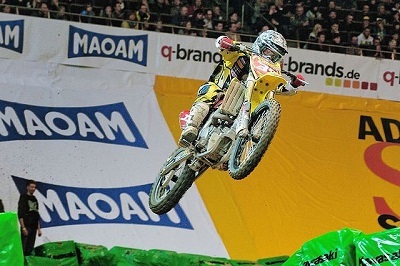 Supercross is a motorcycle racing series that attracts top drivers from around the globe. Like professional auto racing, Supercross draws sponsors and packs race tracks full of fans eager to cheer on their favorite drivers. Officially known as the AMA Supercross Championship, the competition began in 1974 and includes a number of different classes of motorcycles. The AMA Supercross Championship typically begins in January every year and runs through May with races held throughout the United States. You can buy AMA Supercross tickets to an upcoming event by checking out the schedule above.